Blue Fusion 1000 Plush Pillow Top - The Plushest Hybrid Around? 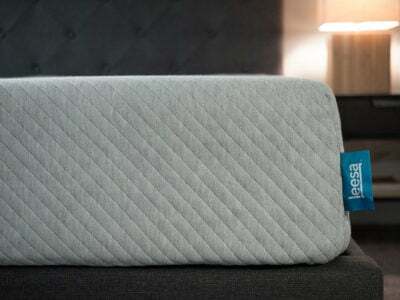 Home » Blue Fusion 1000 Plush Pillow Top – The Plushest Hybrid Around? In early 2018, Serta released their new lineup of hybrid mattresses, which feature seven new models. All of the hybrids fall under the Blue Fusion label and are a combination of exclusive Serta cooling technology and an advanced coil system. In these mattresses, you’ll find TempActiv™ gel memory foam and the supportive Serta® Hybrid Coil™. 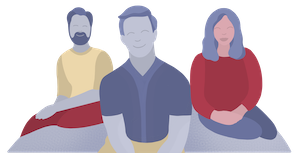 The models are all 14.5″ high and feature high-quality materials – but they’re all a little different. The Blue Fusion 1000 Plush Pillow Top is is the softest option of the Blue Fusion 1000 options. To help you navigate the models, we’ve put together a comprehensive guide to the Blue Fusion 1000 Plush Pillow Top model. To see an overview of all of the models, click here. The Blue Fusion 1000 Plush Pillow Top mattress is approximately 14.5” high. The Blue Fusion 1000 Plush Pillow Top is the softest of the three Blue Fusion 1000 options. 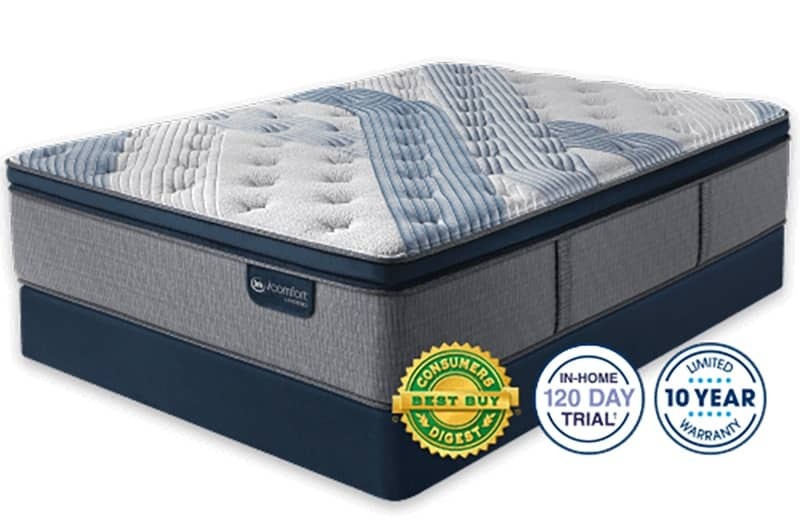 It is one of the softer and plusher mattresses in the line overall but the Blue Fusion 200 Plush is the plushest iComfort hybrid mattress. You often overheat at night. 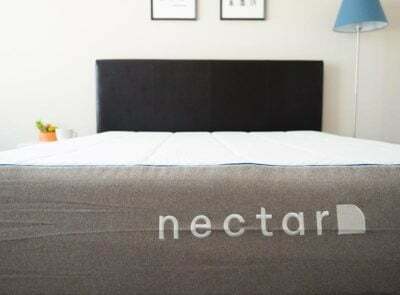 Because this mattress has a layer of TempActiv™ Gel Memory Foam and a layer of EverCool® Fuze Gel Foam, plus it’s finished with TempActiv™ Touch Fabric, it can help you stay cool at night. Air will also circulate within the coil system as well. You sleep on your side or have issues with joint pain. This mattress is quite soft, making it ideal for side sleepers — the soft mattress will put less pressure on your joints. The memory foam layers will also be excellent for providing pressure relief. You like the feeling of a pillow top mattress. 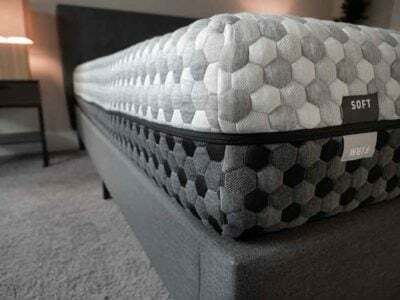 The quilted top of this mattress will feel comfortable for people who like a “pillowy” or “plushy” feeling. To some, this gives the mattress a more high-end or luxurious feel overall. You have a specific budget. The Blue Fusion 1000 Plush Pillow Top is not cheap — it starts at $1,999 for a Queen size mattress. This price point may not fit all budgets. If you want a softer mattress, you could consider the Blue Fusion 200 Plush, which starts at $1,399 for a Queen. You want the completely cushioning feel of all memory foam or the specific bounce of innerspring coils. This mattress is a hybrid model that contains both types of technologies, so it won’t feel exactly like one of the other. 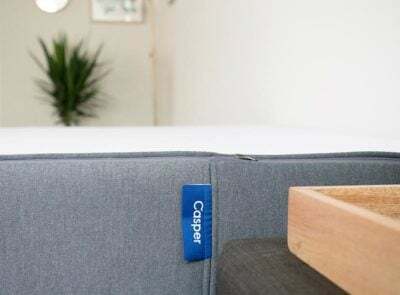 You will get the pressure relief from memory foam layers but the mattress also has a little more bounce or spring to it with the coil system underneath. It should give you a little feel for both innerspring and memory foam. You sleep on your back or stomach. This mattress may not provide enough support for you if you sleep in those positions. Typically, stomach sleepers need a firmer mattress and may want to consider the Blue Fusion 100 Firm or the Blue Fusion 1000 Luxury Firm, which should be a good fit for back and/or side sleepers. Buyers noted the exceptional quality of the mattress. “It is made very well and is of great quality,” said one buyer. The mattress does not quite provide enough support for some people. Because it is so soft, this model may not be supportive enough for certain people. “Could use a little more support,” one reviewer noted. Because of the mattress’ height, you may need special sheets. 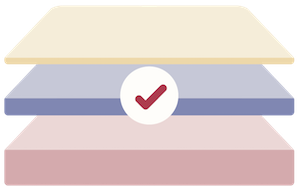 The mattress is 14.5” inches high, which means you may need special “deep pocket” sheets – and/or a deeper mattress protector – to use on it. It’s also worth considering your own height and making sure you’re not climbing into your bed. 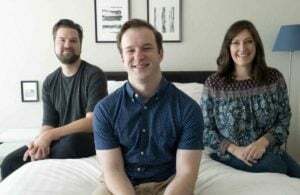 When brand-new, this mattress may emit a chemical odor. This smell is caused by a process called “off-gassing” and associated with the foam layers in the mattress (it should be harmless). Open a window or turn on a fan to help the smell dissipate more quickly. Why Pick The Blue Fusion 1000 Plush Pillow Top Over Other iComfort Hybrid Models? The Serta iComfort Hybrid Blue Fusion 1000 Plush Pillow Top is one of the softest and plushiest hybrid models Serta produces. The pillow top gives it a nice feeling of luxury and the pressure relieving layers on top will certainly make it a good fit for those who primarily sleep on their side. The Blue Fusion 1000 Plush Pillow Top also contains lots of cooling technology, including two layers of cooling memory foam, and a cooling fabric on the outside of the mattress. The Serta iComfort Hybrid Blue Fusion 1000 Plush Pillow Top contains FireBlocker® Fiber, one layer of Serta® PillowSoft® HD, one layer of Serta® PillowSoft® Foam, one layer of TempActiv™ Gel Memory Foam, one layer of EverCool® Fuze Gel Foam, and Serta® Hybrid Coil Support System with Best Edge® Foam Encasement. This is one of the top of the line hybrid mattresses that Serta makes. It’s a good fit for side sleepers who can spare the $1,999 price tag (for a Queen).